We are Lubemobile, the fleet of mobile mechanics providing high quality vehicle services all over Australia and available wherever your vehicle needs us. For cars located in Hillarys, you can have a fully equipped mobile mechanic at your preferred time for a full service, including parts replacement. We fully service your local area including Carramar, Clarkson and Joondalup. 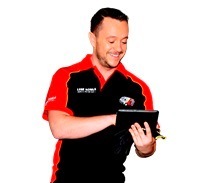 Lubemobile’s fleet of mechanics have serviced over 1,358 vehicles in your area throughout the past 3 months and the most common type of vehicle service in your area is Log book servicing. As completely mobile vehicle specialists, our fleet will arrive fully stocked to tackle any kind of service that your car requires including fixing a leaking master cylinder , on-site tyre replacement from our fleet of specialist tyre services, and centre bearing replacement. Lyndon was outstanding with his service and had me back on the road in no time. I could have had the car fixed under warranty but didnt have the time for towing and waiting for the dealer to "get to it" as I had a meeting that day y and needed my car. Thank you Lube and Lyndon for the great service. If you own a Chrysler or Toyota, or whatever you are currently driving, you can rely on a completely mobile mechanic available at the time that suits you best to carry out industry leading repairs and service work to your vehicle wherever you need us to be. Happy clients have already given us over 35 positive reviews right across Australia. 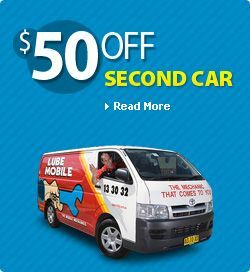 Find out how convenient repairs and service work can be with one of the 20 mobile mechanic available in Perth North where and when you need them with Lubemobile. Servicing and repairing all makes and models, we arrive where you want us with what we need to get the job done. Holden, Toyota and Ford are all attended to on site at the best time that suits the vehicle owner, not the mechanic. Cutting out the workshop saves you valuable time and money in travelling and arranging alternative transport for a schedule that fits with your mechanic. In your local area our mechanics have already completed on the spot services and repairs for Great Wall, Jeep and Mercedes. As a mobile mechanic, your specialist has what they need to complete your vehicle’s repairs and service on time. Using only quality parts like air flow meter, muffler and wheel bearing your repairs are completed on site without the need for follow-ups or trips into the workshop at all.